Monks build barrier to protect temple; will entire city be next? 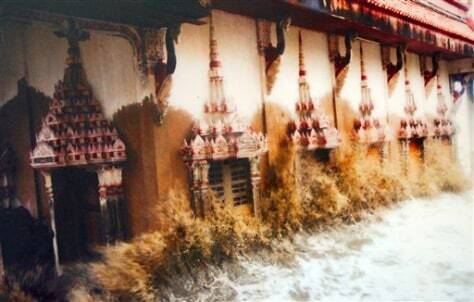 In this undated photo provided by the Khun Samut Chin temple, the sea crashes into the temple during high tide. Located on the outskirts of Bangkok, Thailand, the temple has been losing ground to the approaching sea.